Your event handler cannot call a system Xbasic function, or a UDF directly. You have to define a local client-side Xbasic function which in turn can call a system Xbasic function or a UDF. 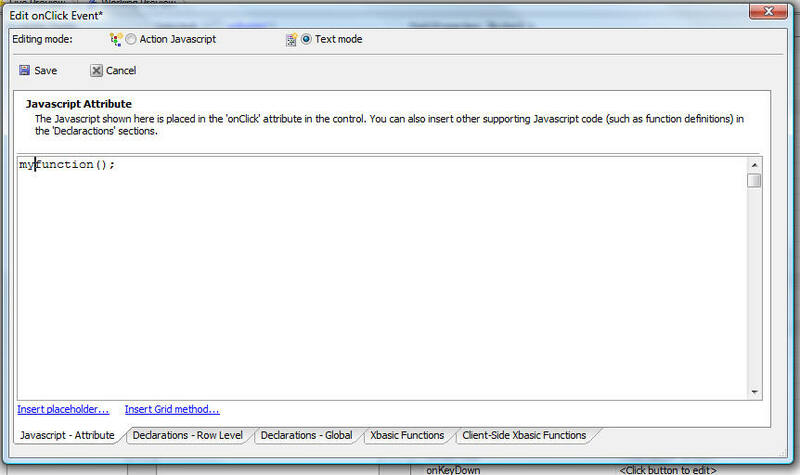 You could also go to the 'Client-side Xbasic function declarations' property to define the client-side Xbasic function.